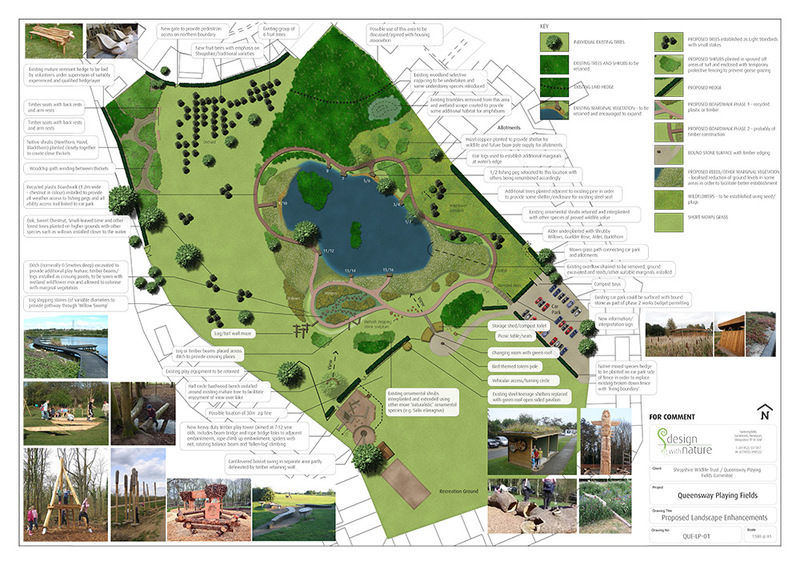 Appointed by Shropshire Wildlife Trust to develop a masterplan for a large community managed open space which includes a significant area of open water. 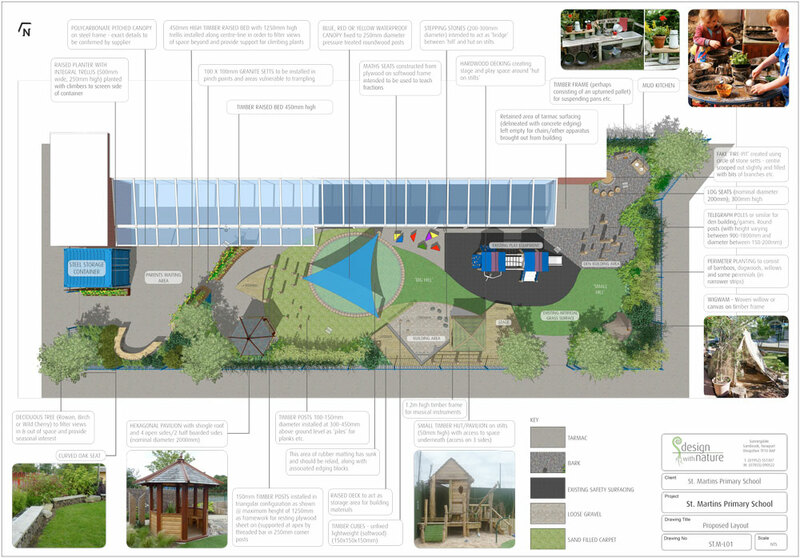 Proposed improvements include: new bespoke natural play apparatus (aimed at older children), boardwalks, fishing peg refurbishment, green roof bird hide, orchard, wildflower meadow, creation of reedbeds / wetland habitat, new hedge / tree planting and sensitively integrated natural play provision in the wider landscape. 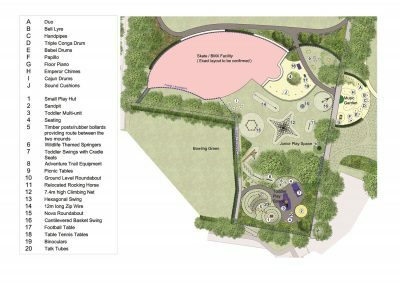 The site-wide elements include ‘bulrush’ stepping-stone sculptural elements and step post / plank causeway (with detailed design of this based on the original 6,000 year old sweet track constructed in the Somerset Levels) routes through a newly created area of willows. Other elements include beam bridges (of various widths) and stepping stone / rope crossings of a newly created ditch feature. 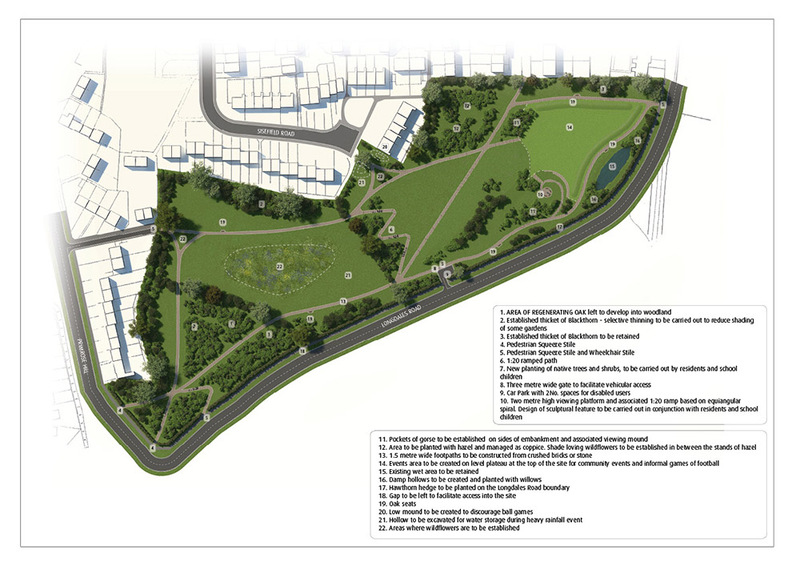 We have subsequently been instructed to produce set of detailed drawings and contract documents for phase 1 of these works.